We have the latest arcade attractions, great for ages 4 to adult-gamer! Stop in to play over 50 great games in 5,000 sq ft of gaming bliss! We also have a redemption store with amazing prizes! We have Monster Drop, Big Bass, Space Invaders, Jurassic Park, and more! 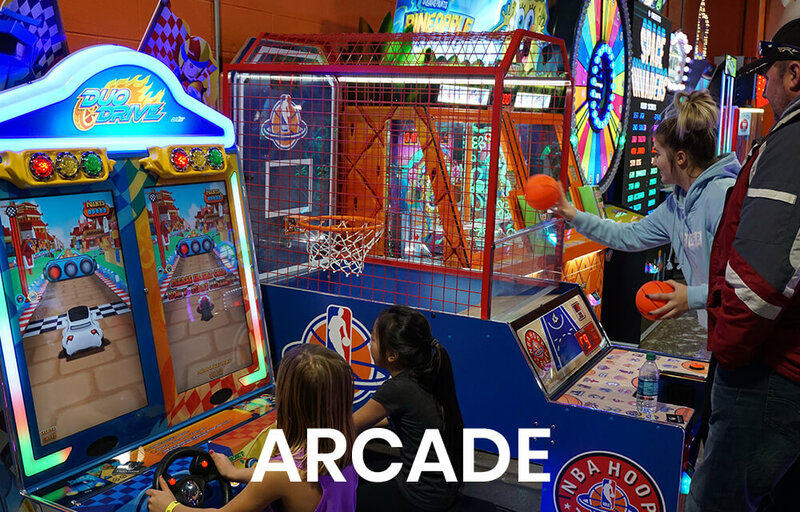 Our arcade is open to the public daily or can be reserved for a party!